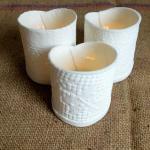 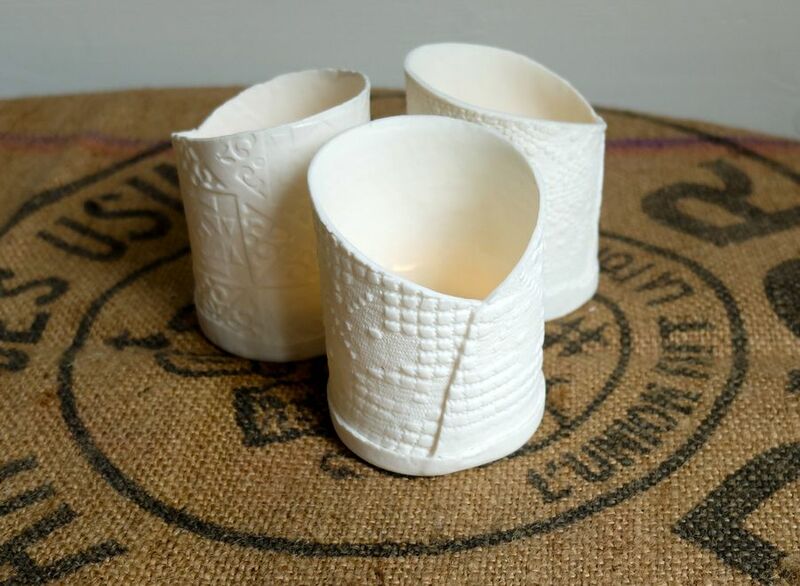 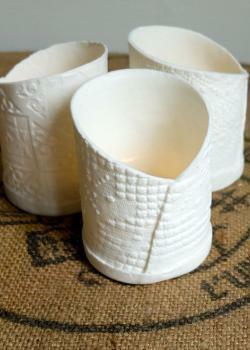 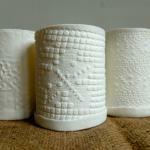 Delicate tea light holders designed by Sussex ceramicist Eunice Locher. 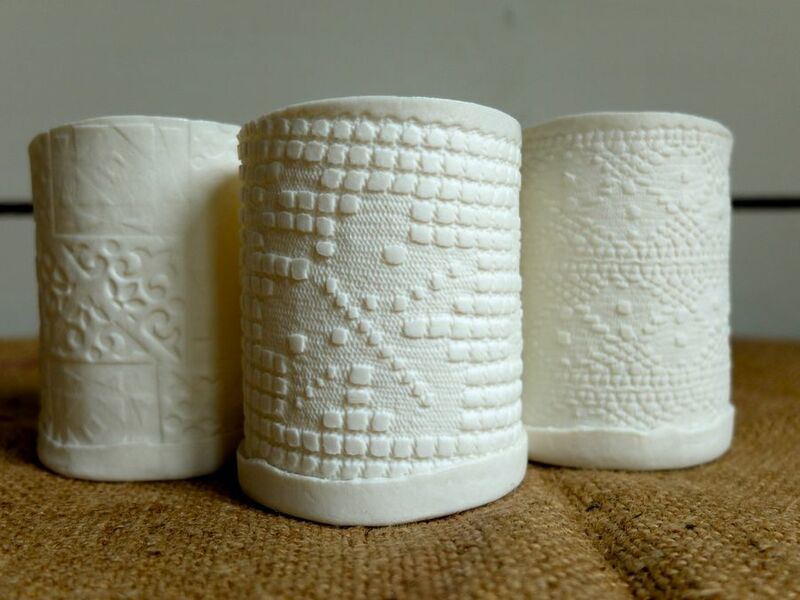 These are made with impressions using portugese lace. 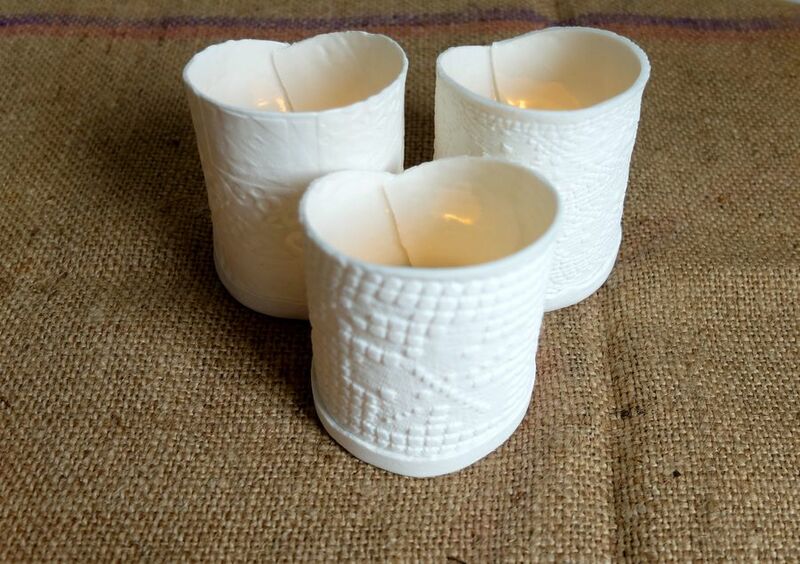 Make wonderful table decorations and unique gifts.